Media Asia 2015 Vol. 42, No. 1-2, has finally gone to press and will be out soon. 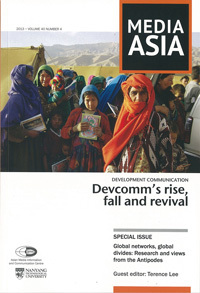 This first issue for 2015 is being published as a double issue. 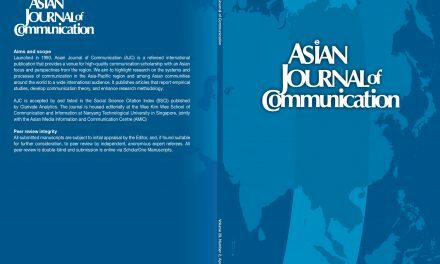 This year, AMIC transferred the production of Media Asia to Taylor & Francis so as to benefit from its strong distribution capabilities. Taylor and Francis has to build its systems in handling the production of both the online and print journal which partly accounts for the slowing down of the production. However, Media Asia editor in chief Prof. Cherian George is confident that AMIC members will see the benefits of the change starting in 2016. 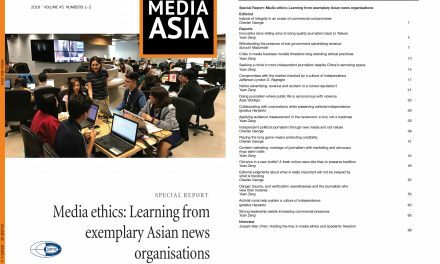 In addition to several original research articles, Media Asia Vol. 42, No. 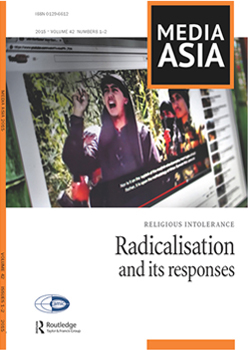 1-2 includes two interviews with scholars on the perennial problem of religious extremism and intolerance. In this issue, Prof. Romila Thapar, one of India’s most eminent historians, discusses how right-wing harassment has narrowed the space for academic historians. Meanwhile, Malaysian scholar Farish Noor talks about religious extremism in Southeast Asia, in the context of Islamic State’s internet savvy outreach in the region.